When Should I Use Snoring Aids? Do Snoring Aids Cure Snoring For Good? How Much Do Snoring Aids Cost? How Long Do Snoring Aids Last? Can I Use A Snoring Aid To Treat Sleep Apnea? 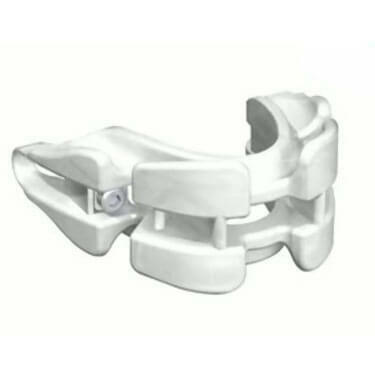 What Is A Mandibular Adjustment Device (MAD)? What Is A Tongue Stabilizing Device (TSD)? How Does The Boil And Bite Technique Work? What Are The Side Effects Of Using Snoring Aids? Can I Use Snoring Aids If I Wear Dentures? Can I Breathe Through My Mouth With A Snoring Aid? Do I Need A Prescription To Purchase A Snoring Aid? How To Maintain My Snoring Aid? Should My Jaw Hurt After Using A Snoring Aid? Can Children Use Snoring Aids? Should My Snoring Aid Be FDA Cleared? What Materials Are Used In Manufacturing Snoring Aids? What If My Snoring Aid Doesn’t Solve My Problem? Snoring is an extremely common condition that affects a large number of people. Some people snore lightly and occasionally whereas others experience serious health problems as a result of snoring. There is a number of possible reasons for snoring, meaning that the treatment usually depends on the particular reason or cause. One of the most common causes of snoring is a nasal obstruction of some sort. It can be a deviated septum, nasal polyps, allergies, or, more commonly, a simple cold. Another common reason is the weakness of the throat muscles and airways, which causes them to collapse and close. A misaligned jaw, alcohol and drug abuse, the buildup of fat in the throat, obesity, poor eating habits, stress, exhaustion and sleeping on the back are also among the most common causes of snoring.
? When Should I Use Snoring Aids? You should consider using snoring aids when you start feeling like your snoring is taking a serious toll on your quality of life. Some people snore so much that they wake up feeling exhausted and completely drained of energy. Snoring reduces the amount of oxygen in the brain during sleep and disturbs the sleep cycle, so, logically, a night of snoring is never a restful night. A sore throat and irritability are also very common consequences of snoring. Another reason why people resort to snoring aids is the fact that no one around them is able to get any sleep because of all the snoring. Spouses and partners are the ones who suffer the most and there have even been cases when snoring led to breakups or divorces. If you feel that your snoring is disturbing or irritating those around you, it might be time to try one of the various snoring aids available on the market.
? Do Snoring Aids Cure Snoring For Good? Unfortunately, in most cases, they do not. Most snoring aids address the underlying cause but don’t solve it permanently. For example, a mouthpiece that works by gently forcing the tongue in the right position so the airways can remain free and unobstructed only helps when the user is wearing it. After the mouthpiece is removed, the problem comes back. The same happens with nasal strips or cones that work by opening the nasal airways. There isn’t a permanent cure for snoring, apart from certain surgical procedures and lifestyle changes, but even that is questionable. Still, considering they greatly improve the quality of sleep and therefore the overall quality of life, snoring aids are recommended by physicians even though they cannot actually cure snoring.
? How Much Do Snoring Aids Cost? The price of snoring aids greatly varies depending on the type of device, the manufacturer, the materials used, and many other factors. Most commercially available devices cost from $30 to $150, although there are some that cost as little as $10. Nasal strips are generally the cheapest. Mouthpieces start at $25. Snoring devices sometimes also come in sets, which may include two of the same devices (one of which is a spare) or a combination or oral and nasal devices. However, bear in mind that for the best, custom- made devices, you will have to pay somewhere between $500 and $1000.
? How Long Do Snoring Aids Last? Again, this depends on the type of device, materials, technology, manufacturer and other factors. It also depends on how often you use it. Obviously, the more you use it, the shorter it will last. Teeth clenching and grinding (bruxism) also cause devices to wear down sooner, so if you grind or clench your teeth at night, your device will probably last only several months. Most devices are made to last approximately one year. After that, they start losing their firmness and they get harder and harder to clean properly. Most manufacturers recommend changing your snoring device and getting a new one every 12 months or so. There are some devices that are made to last longer, up to two or three years.
? Can I Use A Snoring Aid To Treat Sleep Apnea? There are certain devices that can definitely alleviate sleep apnea. Sleep apnea is more than just snoring, it’s a sleep disorder that seriously affects your health and needs to be taken seriously. Most people with sleep apnea are advised to use a CPAP (continuous positive airway pressure) machine that regulates breathing patterns during night. However, as advanced as these machines are nowadays, not everyone can tolerate or use them. For mild and moderate sleep apnea, some snoring aids can provide significant relief. They reduce snoring, the main symptom of sleep apnea, and regulate breathing rhythms to a certain extent. More severe cases, however, have to be treated differently, i.e. using a CPAP. It is not recommended to treat sleep apnea with snoring aids alone.
? What Is A Mandibular Adjustment Device (MAD)? Mandibular Adjustment Devices or MADs are devices that aim to relieve snoring. A MAD is a mouthpiece that goes between your upper and lower teeth. It is usually made of light plastic materials that are customized to fit your mouth. A MAD works by pulling your lower jaw gently but firmly so that it is positioned slightly forward. This way, your tongue is also pulled forward, softly and gently, of course, which reduces the obstruction and restriction of the airways. With the air allowed to flow freely, snoring is reduced by some 85%. MADs are one of the most common types of snoring aids and according to many experts, the most reliable and effective ones.
? What Is A Tongue Stabilizing Device (TSD)? 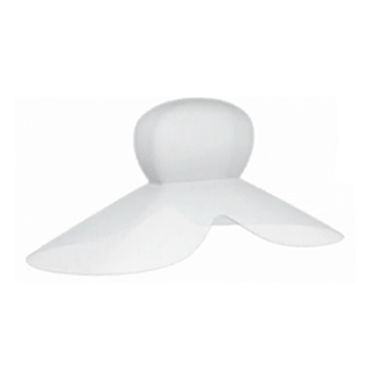 TSDs or Tongue Stabilizing Devices are, alongside MADs, the most common type of snoring aids. As its name suggests, it regulates the airflow by bringing the tongue into the right position inside the mouth. A TSD consists of a part that sticks a little bit outside your mouth and another part that uses suction to gently adhere to the tip of your tongue and pull it. The two parts are connected and the outer part pulls the tongue forward, thus ensuring that all the airways are open. A TSD is ideal for people who wear dentures or for those who don’t like MADs or can’t use them for some reason. However, bear in mind that with a TSD in place, you will not be able to breathe through your mouth, so your nasal airways need to be free and clear.
? How Does The Boil And Bite Technique Work? Some devices, MADs in particular, use the boil and bite technique to make them fit better inside your mouth. This may sound complicated but it’s actually quite simple and very useful. Once you complete the procedure, the device will fit (or at least it’s supposed to fit) perfectly inside your mouth, assuring maximum comfort. MADs are made of materials that allow the device to be slightly reshaped by using high temperature. In order to make the fit, you are usually supposed to place the device in boiling water and leave it for 20-30 seconds or for as long as it is specified in the instructions. The material will soften and once it’s cool enough, you can place it in your mouth and bite hard for several seconds so that it takes the shape and contours of your teeth and jaw. The process is completed by placing the device into ice cold water so that it cools down completely.
? What Are The Side Effects Of Using Snoring Aids? Some side effects are to be expected with most snoring aids, especially with mouthpieces. One common risk that comes with the use of Mandibular Advancement Devices (MAD) is that the teeth or the jaw start shifting slightly forward. There is a force, even though very light, that is exerted upon the teeth every night and teeth tend to follow the direction to adapt to the stress, leading to some teeth and bite misalignment. Another common side effect is jaw pain and stiffness, although it usually goes away once you get used to wearing the device. Tongue Stabilizing Devices (TDS) may cause some tongue soreness, especially in the beginning. Some drooling can be expected as well.
? Can I Use Snoring Aids If I Wear Dentures? It depends on the specific device and also on the type of dentures you are wearing. Doctors generally don’t recommend using mouthpieces if you have dentures, especially if you have a full set of dentures. With partial dentures, you will probably be able to use some types of MAD or TSD devices. Other types of snoring aids, including chin straps, nasal cones, strips and dilators, anti-snoring pillows and such, are perfectly fine for people with dentures.
? Can I Breathe Through My Mouth With A Snoring Aid? With a Tongue Stabilizing Device, you will not be able to breathe through your mouth because of the external part of the device that blocks the passage of air. As for MADs, it depends on the type and the manufacturer. Some MADs have small breathing holes that allow you to breathe through your mouth while others don’t. If you suffer from allergies or have any kind of nasal obstruction such as polyps and you can’t always rely on breathing through your mouth, make sure to pick a MAD (not a TSD) that has breathing holes. Other snoring aids such as chin straps and nasal devices do not interfere with your mouth or nose breathing.
? Do I Need A Prescription To Purchase A Snoring Aid? In most cases, no. You can purchase a snoring aid online or in a drugstore or pharmacy without a prescription. There is a loophole at work here since most snoring aids, especially mouthpieces like MADs and TSDs, are classified as FDA Class II medical devices and those generally require a prescription from a physician. However, they are legitimately and legally sold without a prescription since they comply with the Federal Regulation Code. The manufacturer and the supplier simply put down detailed and adequate directions for proper use, which makes selling and purchasing them without a prescription legal.
? How To Maintain My Snoring Aid? Maintaining and caring for your snoring aid is generally not complicated and does not take too much of your time, but it’s very important to do it properly. Good maintenance will assure maximum performance from your device and prolong its lifespan. For one, it’s important to keep your snoring aid away from children and animals that tend to chew on things. Keep it safe from physical damage by storing it in a special case (most devices come with a convenient plastic container) or in a clean glass or cup. Clean your device daily, preferably every morning after you take it out, with some lukewarm water and a clean soft toothbrush. This will keep bacteria and fungus away. Also, make sure to keep it dry when you’re not using it. There are special cleaning solutions that come with some devices, or you can purchase one online, but, like we said, plain water is usually sufficient. Always make sure to read the instructions leaflet that comes with your snoring aid, as there will be detailed instructions for proper care.
? Are Snoring Aids Comfortable? Chin straps and nasal devices, especially strips, are very comfortable. Nasal cones can cause some discomfort and dryness. Both MADs and TSDs are another story. Most people complain of some discomfort when they first start using them, but they get used to them soon, usually in a week or so. Some mouthpieces can be adjusted, usually using the boil and bite technique. This assures the best possible fit and maximum comfort. Some jaw and tongue soreness can be expected. Keep in mind that some people never get used to wearing mouthpieces. Many folks, on the other hand, say they often forget they are even wearing a mouthpiece. Considering the benefits (reduced snoring, better quality sleep), many people are willing to tolerate mild discomfort that comes with the use of some snoring aids.
? Should My Jaw Hurt After Using A Snoring Aid? It is not uncommon to experience some discomfort, tenderness or even pain, especially in the lower jaw, after spending a night with an anti-snoring mouthpiece. This is because devices like MADs and TSDs address the problem by moving your jaw and your tongue forward so that your airways can stay open and the air can flow freely. This puts some strain on the jaw and teeth and may even cause them to shift, which is not particularly comfortable. Still, most users report that this problem goes away rather soon, usually within the first seven days of use. If the pain persists after that period, you should talk to a physician and stop using the device, temporarily or permanently.
? Can Children Use Snoring Aids? Snoring is not very common in children, so if your child does snore, it’s recommended to try to find out what the underlying cause is and then address it. For example, it might be a symptom of an allergy or a deviated septum, perhaps even nasal polyps. Children will snore occasionally when they have a cold or the flu and their nose is stuffy, but persistent snoring could be a sign of something more serious. If your child’s snoring is becoming a serious problem and if you are considering using a snoring aid, make sure to consult a pediatrician first. Most snoring aids are designed for adults, who are already fully grown and developed. Devices like MADs and TSDs are generally not recommended for children because they can interfere with the normal growth and development of the jaw. Before you resort to snoring aids, try some safer, simple remedies such as elevating your child’s bed head or throwing in an extra pillow or two and helping them learn to sleep on the side.
? Should My Snoring Aid Be FDA Cleared? As with all over-the-counter remedies, aids, and medicines, it is highly recommended to use only snoring devices that have been cleared by the Food and Drug Administration (FDA). It may not seem like a big thing since it’s “just” a snoring aid but consider the fact that it goes into your mouth or your nose and does come with some side effects. Basically, in order to be safe, it’s best to stick to aids that have been FDA-approved.
? What Materials Are Used In Manufacturing Snoring Aids? Most Mandibular Advancement Devices are made from metal materials, usually chrome cast alloy or titanium. When purchasing a MAD, look for the label that lists the materials and states whether they have been deemed safe for use by proper authorities. Tongue Stabilizing Devices are generally made of plastic or rubber materials, sometimes of silicone. It is recommended to use devices that are BPA-free, meaning they do not contain Bisphenol A, as it is toxic. Chin straps are made of synthetic materials, but sometimes the part that adheres to the face is made of a natural material, such as cotton, for more comfort and less sweating and irritation.
? What If My Snoring Aid Doesn’t Solve My Problem? No manufacturer will ever promise 100% product satisfaction. 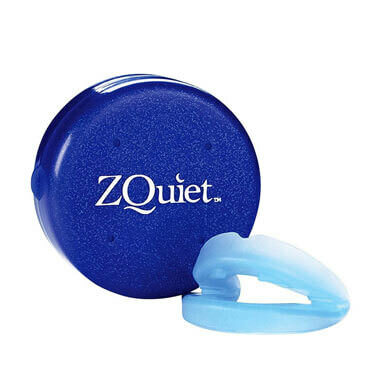 Since everyone is different and there are so many potential causes of snoring, a certain device may not even be suitable for you and your particular problem, not to mention that all these aids only reduce snoring. They rarely stop it altogether and they certainly don’t cure it for good. Because of this, many manufacturers and suppliers offer some sort of money back guarantee, usually up to 30 days, or they ask you to pay only for the shipping and then, after a certain period, again usually a month, if you are satisfied with your device, you can pay the full price or return the device. This means you can actually try out and test the device and if it doesn’t work for you, you don’t lose a lot of money.